Hybrid vehicle drivers get more tickets than their traditional counterparts, according to a study of their driving habits. 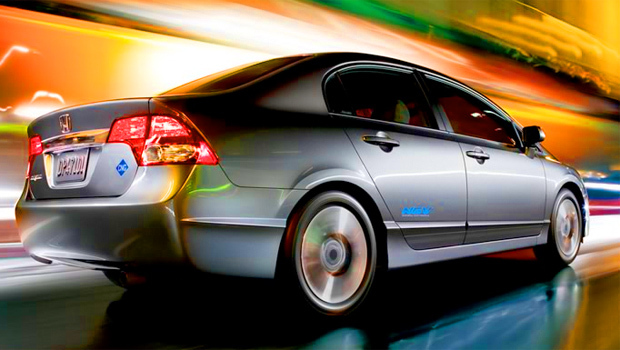 Hybrid vehicles may not be as green friendly as originally thought. Owners of the eco-friendly vehicles tend to drive more, get more tickets, and pay more for repairs, reports the Quality Planning Corporation. The study was done after the driving habits of 359,309 car owners were analyzed by the insurance company. They found that hybrid owners drove 25% more than their regular gas guzzling counterparts, virtually nullifying any environmental benefits. "The additional miles driven by hybrid vehicle owners would seem to offset the net ecological benefit of owning a fuel efficient vehicle," said Dr. Raj Bhat, president of Quality Planning. "After all a gallon of gas is a gallon of gas no matter which type of engine is burning it." Drivers of the Toyota Prius were also more likely to get more tickets,.38 violations per 10,000 miles compared to .23 for traditional cars. More accident claims at higher repair costs were also reported. The study took into account loss costs, which includes the frequency and severity of a claim. The data could prove invaluable to insurance companies who have been offering policy discounts for hybrid vehicles. "A 25 percent increase in miles driven or a 30 percent differential in loss costs is very significant," said Bhat. "The survey this year once again supports what we have long argued, that most hybrid vehicles and now clean diesel vehicles offer superior value to standard models," said James Bell, editor of IntelleChoice.com, in a statement. IntelliChoice conducted their survey for the fourth year in a row and pitted hybrid and clean diesel cars with their gas powered counterparts. They found that "green" vehicles held a better value than the gas powered cars and would provide an overall lower cost of ownership if gas prices rise.